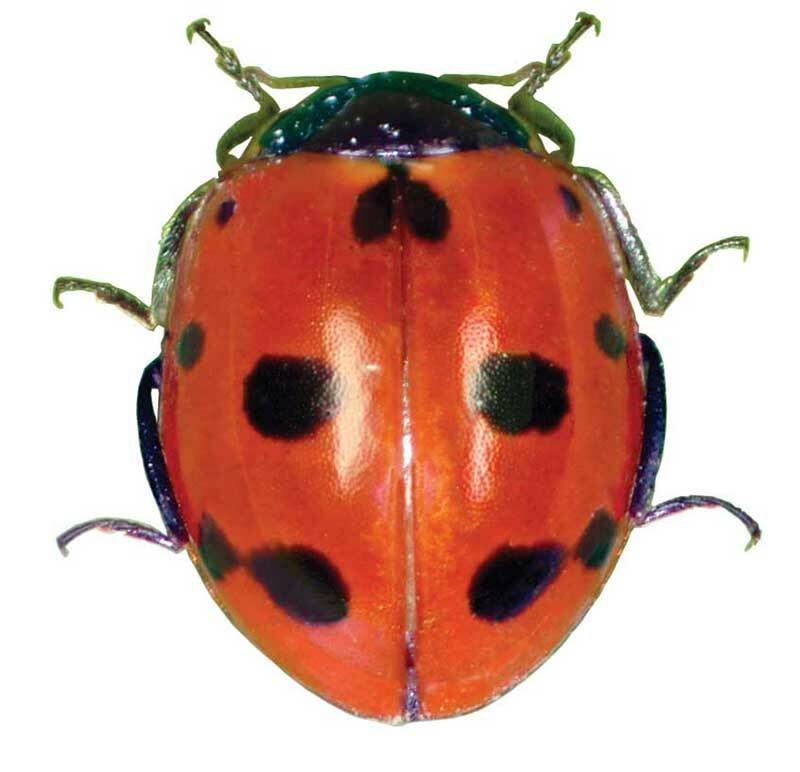 Insect follows Coccinellidae family, and Coleoptera order. Size is between 4-5 mm, wings are red with 11 black spots, thorax and head are black with white spots. Adults and larvas are predators to Aphids, and have important role in biological control programs of Aphids.